2018 is here, and technology is progressing by leaps and bounds every passing year. But, guess what? Despite all the technological advancements, the handwriting practice of making student notes is still known as the best learning method. Wondering how? Well, writing text is a great way to memorize the material. And do you know the best part? You can always use your creativity while taking notes. It is a great way to boast off your hidden talents. Now, you might be wondering why would you make things fancy when the simple ones can do the job for you? Because they are more readable and understandable that way. Plus, it becomes an interesting and fun experience. Listed below are some easy-peasy ideas to make your student notes attractive, scroll down, and get amazed! 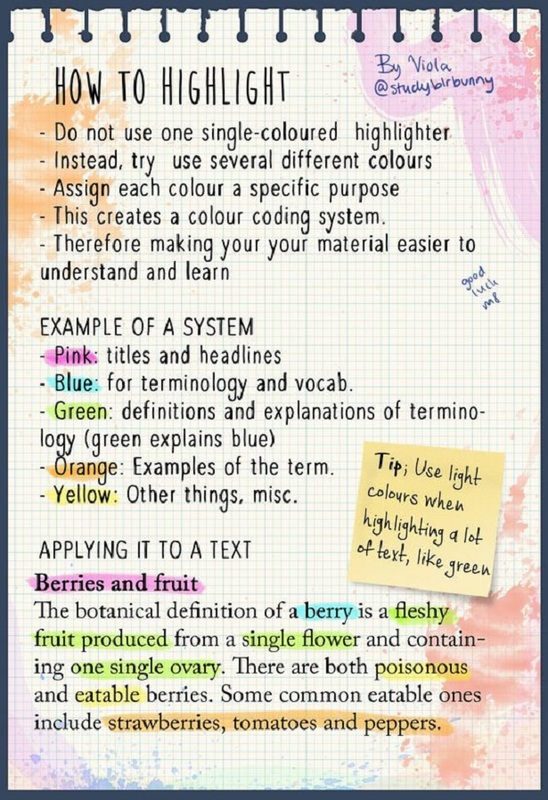 Highlighter pens are great for adding color to the student notes, and obviously, they help in making the text easy to read. You can create a color-coding system for a quick lookout over important points.